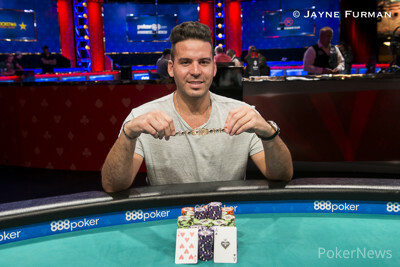 A little more than a year after winning a World Series of Poker circuit ring, Gal Yifrach won another piece of WSOP jewelry. He emerged victorious in Event #28: $3,000 No-Limit Hold'em 6-Handed, besting a field of 868 players to win the first-place prize of $461,798. Born in Israel and now living in Los Angeles, the 31-year-old entrepreneur considers poker more of a hobby than a profession but has a solid poker résumé. With eight WSOP and five circuit cashes under his best, Yifrach was appreciative of the winning feeling. "You don't make a final table every tournament," said Yifrach. "I was fortunate enough and am happy my family and girlfriend came to support me. I'm very happy. Everybody has hopes, and everybody is hoping to get very far. I was fortunate enough to get there." Event #28: $3,000 No-Limit Hold'em 6-Handed drew 868 players and after 10 levels played on Day 1, Christian Rudolph led the remaining 186 players. Just 131 of them would make the money on Day 2 and after another 10 levels on Day 2, only 20 were still in the hunt for a coveted gold bracelet and the first-place prize of $461,798. Rudolph rode his Day 1 chip lead to 11th in chips following Day 2, but busted in 19th place. Meanwhile, end-of-Day 2 chip leader Ben Palmer bubbled the official final table, finishing in seventh place for $48,823. 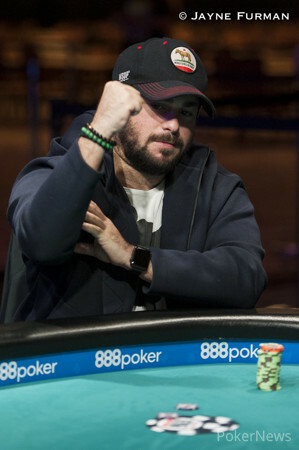 Others who made deep runs but fell short of the final table include Jason Mercier (16th - $20,975), Tony Dunst (13th - $20,975) and Yorane Kerignard (9th - $36,164). 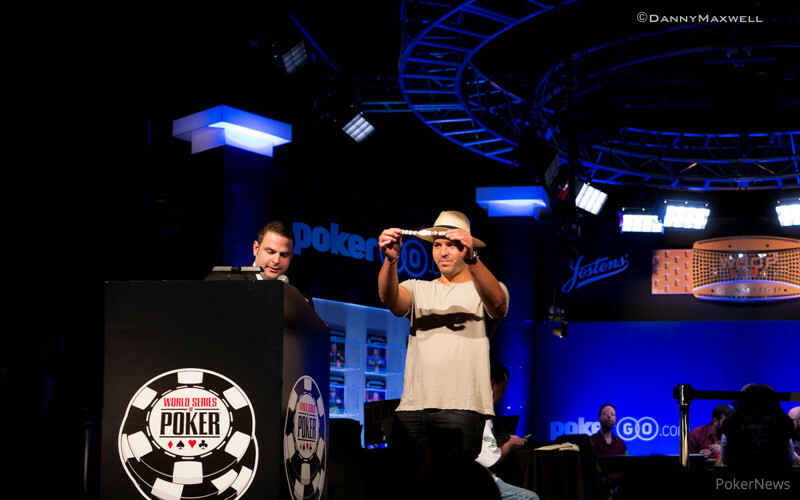 For Yifrach, his path to the final table started smoothly as he returned on Day 2 17th in chips of the remaining 186. He was on the shorter side to begin Day 3 sitting 15th in chips of the remaining 20 players, but chipped up early in the day before winning a coinflip against Dunst to leave just 12 players remaining. 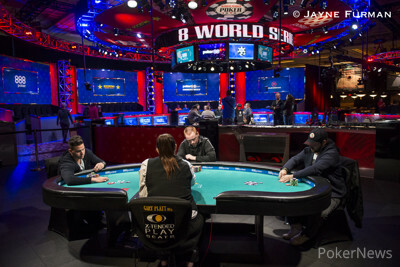 Yifrach chipped up a little more by the time the official final table of six players was reached, sitting second in chips. Ana Marquez (6th - $67,116) was eliminated shortly after the final table began, and Darren Rabinowitz (5th - $93,917) followed her to the rail about two hours later. On the 56th hand of the final table, Yifrach seized the chip lead for the first time and held it for just about the rest of the way. 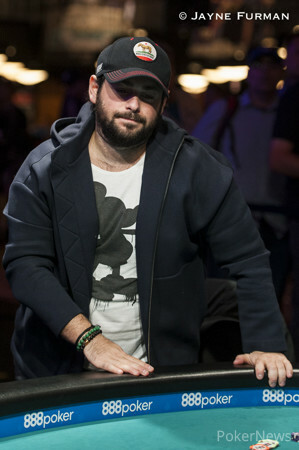 Aaron Mermelstein (4th - $133,731) fell a little while later, and Yifrach was comfortably in the lead with about two-thirds of the chips when three-handed play began. In the last batch of hands from Day 3, Yifrach doubled up both James Mackey and Gary Hasson, meaning a fourth day would be necessary for a winner to emerge. 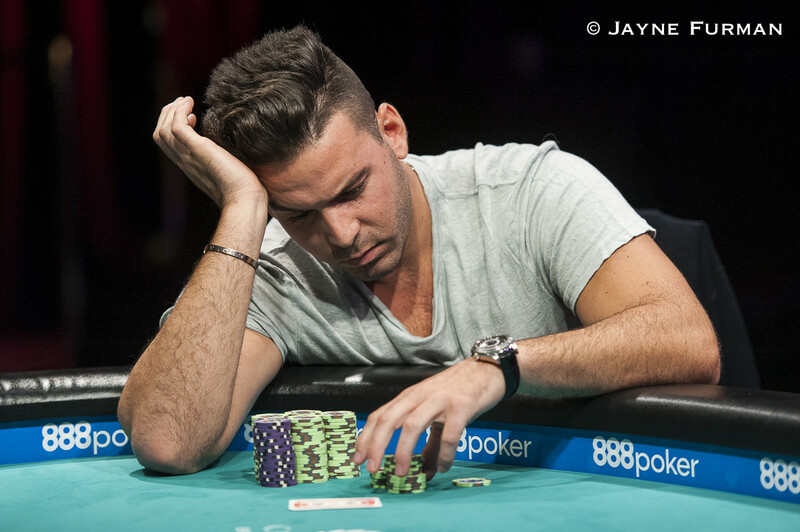 Hasson battled valiantly but was unable to overcome his chip deficit, falling in third place for $193,716. 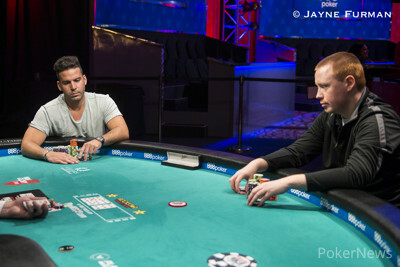 The heads-up battle between Yifrach and Mackey was brief, lasting just seven hands. Starting down nearly 2:1 in chips, Mackey quickly moved back to basically even in chips before the final hand took place. After the turn of an eight-high board, Mackey shoved with pocket tens. Yifrach called after about three minutes in the tank and trailed with ace-eight, but an eight landed on the river to give him the victory. "When you run good you play good, as well. It comes hand in hand. It's a great feeling." Hand #221: Gal Yifrach raised to 325,000 from the button, James Mackey three-bet to 1,125,000 from the big blind and Yifrach called. The flop came down , Mackey continued for 1,000,000 and Yifrach called. The turn was the , Mackey shoved for 4,325,000 and Yifrach tanked for about three minutes before he called (covering Mackey by less than a big blind). Mackey tabled for tens and deuces, leading Yifrach's for eights and deuces. Yifrach trailed and had only five outs, but the river fell to give Yifrach eights full of deuces to eliminate Mackey in second place. Hand #215: Gal Yifrach raised to 350,000 from the button, James Mackey three-bet jammed for 4,485,000 from the big blind and Yifrach folded. Hand #216: Mackey raised to 325,000 from the button and Yifrach called. They checked to the turn of a board where Yifrach bet 325,000. Mackey folded. Hand #217: Yifrach raised to 325,000 from the button and Mackey called from the big blind. They checked to the turn of a board where Mackey bet 400,000. Yifrach folded. Hand #218: Mackey raised to 325,000 from the button and Yifrach called from the big blind. The flop came down and Yifrach check-called 300,000 from Mackey. The turn was the , both checked and the river completed the board. Yifrach checked, Mackey bet 775,000 and Yifrach folded. Hand #219: Yifrach opened to 350,000 from the button and Mackey defended his big blind. They check to the river of a board where Mackey bet 400,000. Yifrach folded. Hand #220: Mackey raised to 325,000 from the button and Yifrach folded his big blind. Hand #214: Gary Hasson, in the small blind, moved all in for around 1,500,000. Gal Yifrach, in the big blind, quickly called. 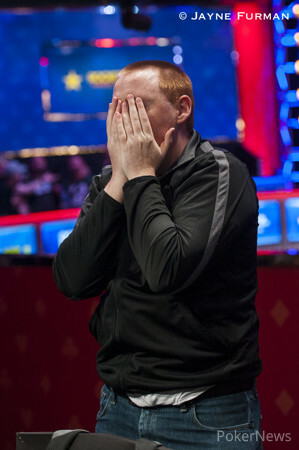 Hand #208: Gary Hasson limped in the small blind. Gal Yifrach, three-bet to 480,000. Hasson folded. Hand #209: Yifrach limped in the small blind. Mackey checked. The flop was . Yifrach bet 175,000. Mackey called. The turn brought the and was checked to the river. Again, both players checked. Mackey tabled to win the pot. Hand #210: Mackey raised to 350,000 in the small blind. Hasson gave up his big blind. Hand #211: Mackey opened to 350,000 on the button. He got no action. Hand #212: Mackey got a walk. Hand #213: Yifrach opened to 350,000 on the button. Mackey moved all in from the small blind for 2,900,000. Everyone folded. James Mackey shoved from the small blind with a covering stack and Gary Hasson called all in for 1,210,000 from the big blind with , leading Mackey's . The board came down , giving Hasson a flush to double through Mackey. Hand #199: James Mackey raised to 350,000 from the button, Garry Hasson shoved from the small blind for 1,305,000 and Mackey went into the tank. "I might have the only hand here I can fold," said Mackey as he folded. He later said he had five-four suited. Hand #200: Gal Yifrach limped from the small blind and James Mackey checked his option. The flop came down and Yifrach check-folded to a bet of 175,000 from Mackey. Hand #201: Mackey shoved from the small blind with a covering stack and Hasson folded his big blind. Hand 202: Mackey opened to 350,000 from the button and Yifrach defended his big blind. They checked to the turn of a board where Yifrach bet 350,000. Mackey called, the river completed the board and both players checked. Yifrach showed for a flush, Mackey showed the and mucked and Yifrach won the pot. Hand #203: Mackey received a walk. Hand #204: Yifrach raised to 325,000 from the button and won the blinds and antes. Hand #205: Mackey opened to 350,000 from the button and received no action. Hand #206: Yifrach raised to 400,000 from the small blind and Mackey folded his big blind.